When you think school - homeschool or brick and mortar - you probably think books, paper, pencils. There's much more to learning than books, though. Any time you can bring fun into the learning process, the small people are much more engaged. Board games. Card games. Computer games. Games are a great way to have the small people practice skills they are learning or review content they have learned. Games also provide opportunities for children to utilize critical thinking skills that will benefit them outside of the classroom or homeschool setting. Another important quality that may be acquired through the use of games is good sportsmanship. Of course, as adults, we have to model this. 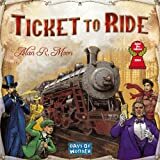 Ticket to Ride - This is a great game to work on critical thinking skills. Players build railway routes across the United States, trying to gain the most points. 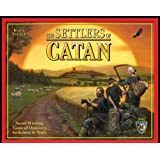 Settlers of Catan - Another great game for critical thinking skills. Players collect resources in order to build roads, settlements, and cities. 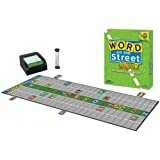 Word on the Street Junior - This game helps build vocabulary and spelling skills. Teams try to collect letters by spelling words for specific categories. 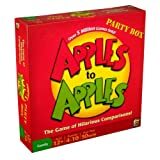 Apples to Apples - Building vocabulary skills, players make comparisons between various things, which can get really funny. 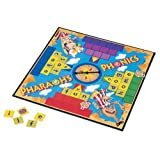 Pharaoh's Phonics - This game builds reading and spelling skills. Players fill their pyramids with words that contain their vowel sound. LOVE Ticket to Ride and Settlers. For my 4-year old we just got the game HISS... it's super cute and fun (you connect snakes by color, no reading required, which is nice for the younger kiddos) and you can play a round in 20 minutes or less. We also love the "memory" games. And she's starting to learn Blockus, which makes me happy, because I love that game. My kids are big fans of Apples to Apples. My favorite is Blockus, both the flat and 3D version. We also like Blockus, but we only have the flat version. Now I'll need to put the 3D version on my wish list. I haven't heard of any of those, so I need to check them out. we are gamers o hard to pin down a favorite. I love using games to teach. Thanks for stopping by! I'll hop over to check out your site. I used to love Monopoly when I was growing up. Now I think I would just get bored of the length of the game. I'm not sure what that says about me to be honest. It says the same thing about you that it does about me. I used to LOVE to play Monopoly, but now it makes my skin crawl. I always loved Cluedo (Clue). Murder mysteries are always a favourite. :) I don't play a lot of computer games but my favourite growing up was Crash Bandicoot and now I often play World of Warcraft. I haven't played Clue since my childhood. I'd forgotten all about that one. My mystery loving child would love that game. My husband and I used to play Trivial Pursuit, but he beat me every time. My son loves Risk. 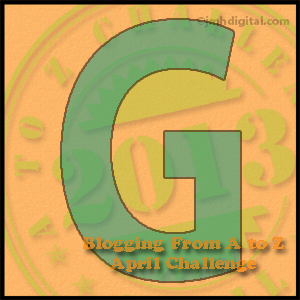 We play a lot of games in our homeschooling too. One of our favourites is Sleeping Queens, which has some great maths in it. I don't know any of these games. I wonder if we have different ones available in Australia?